My thanks go to Ross Playfair for the text on this page. Edmund was born in Sydney NSW on Aug 22 1863. He was educated at Fort Street School and attended the Garrison Church in the Rocks. After his father's death in 1893, Edmund inherited the Family Meat Company . During Edmunds leadership, the first cold storage facility was installed at 103 George Street; however it was soon found that the site was not large enough for the growing providoring and export business so a move was made a little south to 166-168 George Street in 1905. This, too, proved inadequate and a wholesale department was set up at the Glebe Island Abattoirs only a year or so before it was closed down and the killing operations moved to Homebush. By 1914 plans were being drawn up to move Playfairs to the corner of Argyle and Harrington Streets in the Rocks but the First World War slowed progress, however it was ready for occupation by the wars end in 1918. Edmund was a Councillor of the Royal Agricultural Society (RAS) from 1899 until 1904 the archives of that Society record him as Edward Playfair. Like his half-brother Alfred Donald , Edmunds hobby was harness horses of which he was a noted judge at the Sydney RAS Shows. His first recorded residential address was shown as 1 off Argyle Place, Sydney in 1889 and then in 1893 it was 10 Rosebank Street which backed onto his fathers home, Chelmsford in the area now known as Kings Cross. 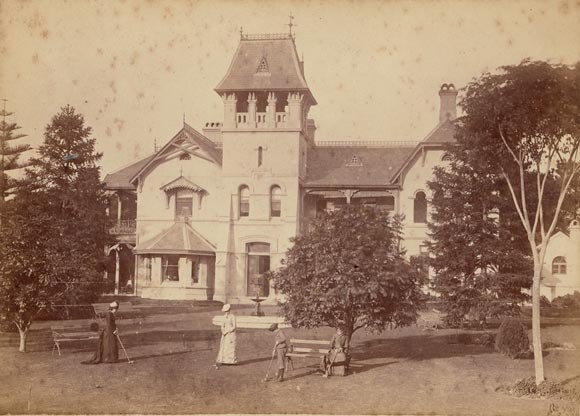 The next address was Verona at Potts Point Sydney c.1898. and finally a move to Kioto at Waverley c.1903. This property consisted of some fifteen to twenty acres but was subdivided after Edmunds death. Records with the Woollahra Council show that Edmund also owned three properties in Victoria Street, Camp Cove, Watsons Bay from 1917 to 1919. Thomas Playfair became a proprietary company in 1924. Edmund died at Waverley NSW, Oct 6 1926. Edmund married Edith Miriam Creer (Mimie) in Sydney on 8 December 1887. Mims birth was registered in Adelaide S.A. on Jan 27 1866 but the birth was believed to have been aboard ship. She was the third child of a total of thirteen, eight girls and five boys, born to Captain Joseph and Sarah Needham (nee Ferrers) Creer. There was also another boy, Thomas Edward from Josephs previous marriage. The Creers were seafaring men; Joseph and his brother Edward were captains and their brother Henry was an engineer, at one time all working with the Clarence and Richmond Rivers Steamship Company which plied along the east coast of NSW. Joseph moved to Sydney in charge of the Pilot Service on Sydney Harbour where he resided at Watsons Bay NSW until his death on Jun 9 1909. Edmund and Mim resided at their family home Kioto until after Edmunds death in 1926. Mim's later addresses were listed in the Sydney telephone directory at "Kioto" until 1927; from 1928 to 1930 it was "Kamilaroi", Darling Point; from 1931 to 1936, "Stornaway" 43 Wunulla Road, Point Piper; 1937 to 1940 "Cheyenne" 24 Mona Road Darling Point and lastly 1941 and 1942 at 65 Darling Point Road, Darling Point. Mim died in Sydney NSW on Oct 15 1942. Both Edmund and Mim were buried at South Head Cemetery as were both Mims parents. 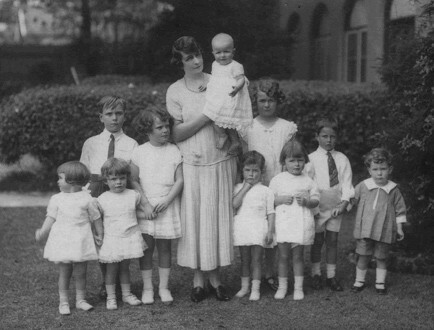 Edmund and Mim had five children, Niedham Jessie Ferrers (Neida) , Thomas Alfred John (Jack), Dahlis Mary Ferrers, Edmund Strathmore Creer (Strath) and Lyon Jock Beresford (Buster).